eHealth is the electronic management of health information to deliver safer, more efficient, and better quality healthcare. 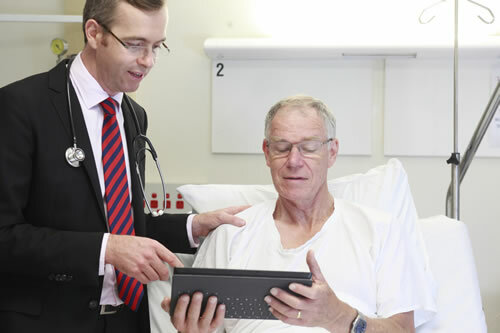 eHealth benefits patient care by providing new ways of managing health information and the delivery of healthcare online, making it more accessible regardless of where in NSW you live. eHealth NSW has been established as a distinct organisation within the NSW Ministry of Health to provide statewide leadership on the shape, delivery and management of ICT-led healthcare. eHealth NSW is responsible for setting eHealth strategy, policy and standards, and works with Local Health Districts (LHDs) and Health Agencies to implement statewide core systems and ensure compliance with statewide standards. Perhaps most importantly, LHDs are able to select, procure and support local functions and systems – ensuring that the local system meets local needs. One of the most important changes is the adoption of a federated governance approach for eHealth NSW. This approach recognises that effective and timely introduction of eHealth can only be done in partnership with LHDs and clinicians. Importantly, this approach balances centralisation – with its focus on standardised systems and applications – with our requirement to innovate and adapt locally in response to the needs of clinicians and patients. The eHealth Strategy for NSW Health 2016-2026 is a 10-year program of innovation, investment and implementation identifying key eHealth goals for NSW. Developed in close consultation with Local Health Districts and other NSW Health organisations and their staff, the strategy's implementation is being supported by eHealth NSW. It is available to view at the NSW Health Government Priorities in Health page.